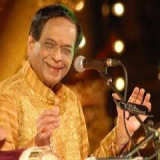 Veteran Carnatic musician Dr M Balamuralikrishna has passed away aged 86. This multi-faceted multi-instrumentalist and vocalist was also a multi-awardee, having received all the three Padma awards of India. Through 25,000 performances across 8 decades, he innovated in the way ragas were recited and collaborated with leading musicians across the world. They say the soul survives the body. Murali’s music was his soul, and it shall last an eternity. 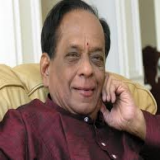 Carnatic musician M Balamuralikrishna died at his Chennai residence on 22nd November. The legendary vocalist and composer was 86. The 86-year-old veteran was not keeping well for some time, his family members said. A highly respected figure in the field of music, Balamuralikrishna featured in the many popular songs in multiple languages. 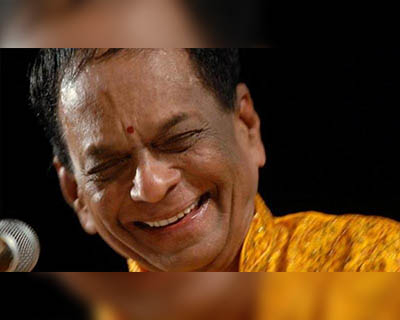 The death of M Balamuralikrishna has saddened thousands of his fans. People have been expressing grief at the demise on Twitter. This is indeed an irreparable loss. Murali was a highly decorated personality. He was made the Chevalier of the Ordre des Arts et des Lettres by the French government in 2005. He was a recipient of all three Padma awards — Padma Vibhushan, Padma Bhushan and Padma Shri. He was the winner of two National Film Awards (1976 and 1987). His body of work has been a source of joy for lovers of Carnatic music for more than three-quarters of a century. It takes as much hard work as it takes talent to become a legend in one’s lifetime. 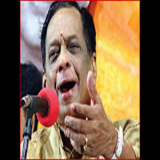 Dr. M. Balamuralikrishna had just the right combination to be regarded as the best exponent of South Indian classical music for over six decades. Why is this being called ‘an irreparable loss’? 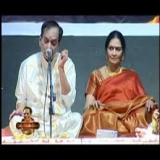 Not only was Murali adept at the theoretical nuances of Carnatic music, he was also able to provide it an entertainment value by making it relatable to the various audiences he performed for. As India continues to shift towards western music forms - the recent Cold Play concert being a case in point - it would need many more Muralis to ensure that its own rich musical traditions are not lost. Murali’s life was dedicated to music. 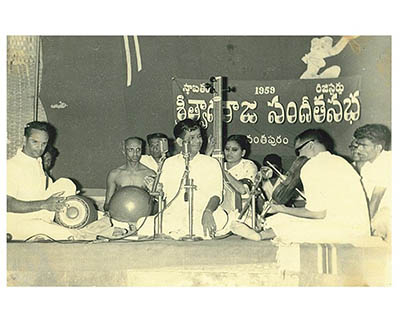 As a child prodigy, Mangalampalli Muralikrishna’s (‘Bala’ was added to his surname to emphasize on his genius as a child) musical career spanned almost his entire lifetime, having reportedly given his first performance when he was nine-year-old. Over the course of his career, he went on to perform in over 25,000 concerts (Wiki estimate). He composed a detailed work known as Raganga Ravali on 72 Melakarta (basic scales of Carnatic music) at the mere age of 14. He has over 400 compositions in different music scales that are widely accepted by music lovers and critics alike. He has also created many new ragas Like Mahati, Sumukham, Trisakthi, Sarvashri, Omkari, Janasamodini, Manorama, Rohini, Vallabhi, Lavangi, Pratimadhyamavathi, Sushama, etc. 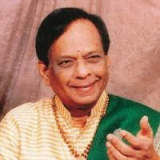 In addition to performing thousands of concerts throughout the world, Balamuralikrishna sang in many native regional languages, including Tamil, Marathi, Telugu, Kannada, Malayalam, Bengali, Hindi and Odia. He also mastered French, leading him to win hearts abroad. He is fondly remembered for having featured in India’s song on national integration called Mile Sur Mera Tumhara. The song was developed in 1988 by Lok Seva Sanchar Parishad and promoted by Doordarshan (then India's sole TV broadcaster) and India's Ministry of Information. It quickly captivated India, gaining and maintaining near-anthem status ever since. The song was composed by Ashok Patki and arranged by Louis Banks, with lyrics by Piyush Pandey. 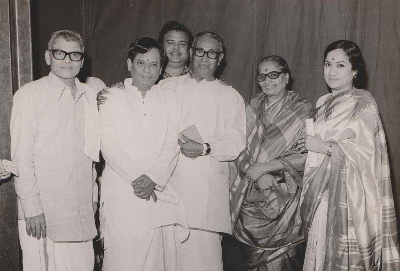 Singers featured in this anthem were Bhimsen Joshi, M Balamuralikrishna, Lata Mangeshkar, Kavita Krishnamurthy, Shubhangi Bose and Suchitra Mitra. 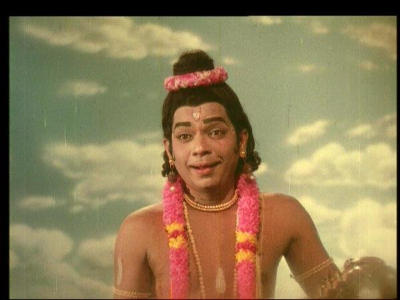 Note: Many newspapers are reporting that Balamuralikrishna became famous due to this song. This is erroneous. He was possibly introduced to the wider audience in North India due to this song. A better way to put this song to context is - the song became famous because of singers like Balamuralikrishna. When did he reach out to a wider audience? While he was close to a perfectionist in classical renditions, Balamuralikrishna understood the need to not restrict Carnatic Music only to the connoisseurs of Carnatic Music. Movies became the means through which he reached the masses and secured the support of countless number of fans. He composed over 400 compositions in languages like Telugu, Sanskrit, Kannada and Tamil. 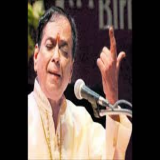 Thyagaraja Kirti Nagumomu, one of Balamuralikrishna's famous and much loved Carnatic songs, tops the list of the most listened to songs of the late legend. He received the National Film Award for Best Male Playback Singer in 1976 for the song Himadri Sute Pahimam from the Kannada film Hamsageete, for which he also composed music. For the song Moksha Mukalada from the Malayalam film Swathi Thirunaal, the iconic singer won the Kerala State Film Award for Best Singer. Among one of the many evergreen hits of his features Chinna Kannan Azhaikiran from the Tamil film Kavikkuyil. Oru Naal Podhuma from the Tamil film Thiruvilayaadal starring 'Nadigar Thilagam' Shivaji Ganesan and Nagesh, this song is never forgotten and features in multiple singing competitions even now. In India, he is the only musician who won National Awards for classical music, music direction as well as film playback singing. Trivia: Murali also acted in a few movies. He made his acting debut as Narada, the traveling musician (yes, he stayed true to his profession even here) and storyteller in Hindu scriptures, in the film Bhakta Prahlad (1967). Where else did he make an impact? Indian music therapy is an integration of ancient healing practices and musical traditions coupled with modifications derived by current clinical practices. ‘Music Therapy' is a commonly heard phrase though not much in vogue in India. This idea was popularised in South India by Balamuralikrishna. He even put in effect some effort in this direction. The theory: Music appreciation begins right in the womb, with the foetus listening to the mother's heartbeat and her choice of music. It has been proved that after birth, the child shows an inclination to listen to what it heard as a foetus. The Ancient Indian application: Vedic lore says ‘Samaveda' paved the way for music. Perfect chant with apt stress on each syllable of ‘Mantra' emanates its own power. Experiments with sound and its effects proved that the ‘Omkara' Nadam (the recital of ‘Om’) in a particular frequency can uplift the emotional status of the singers and listeners alike. Some ragas are earmarked for the nine emotions or Navarasas. “It is believed even now the hymns rendered by Appar, Sundarar, Gnanasambandar and Manikavasagar (Saivite saints of the 7th-century) have power to cure ailments….Kutcheris (Carnatic music concerts) can be called mass therapy offering wholesome treatment to body and mind. But it was Balamuralikrishna uncle who pioneered the concept of “music therapy”, based on ragas. It was during his period that the UK and the US were turning towards us seeking music therapy for special children. And at the same time, the concept gained popularity in India”. Music therapy is now an established health profession. In this system the doctor first assesses the needs of the patient. A qualified music therapist indicates what choice of raga and tala and whether it is vocal or instrumental music that suits the patient. While instruments provide a continuous melodic pleasure, vocal music adds a pinch of spiritual element through the lyrical content. 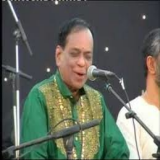 Balamuralikrishna said in 2012 that he was confident of the role of musical therapy in medical treatment. "I have done it. I have experimented with some persons without their knowledge. I have confidence. 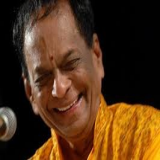 Music therapy is good," Balamuralikrishna said, adding that there should be support for music therapy research. "We don't have it (an institution engaged in music therapy research)". India’s government should at least now establish a music therapy research institute in Balamuralikrishna’s honour. Who was Murali before he became a music maestro? Born in a family of musicians on 6th October, 1930 in a place called Sankaraguptam located in Andhra Pradesh, he was named Murali Krishna by his father. Murali was always a maestro in making. At a very young age, Murali was touted as a child prodigy who had mastered almost every song and every tune. His father Pattabiramayya was a popular musician who perfected the Flute, Veena and Violin. His mother Suryakantamma played the Veena perfectly. 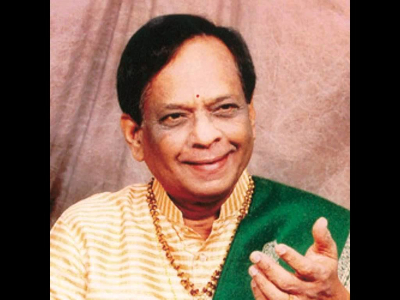 His mother died when he was an infant and Balamuralikrishna was raised by his father. Observing his tilt towards music, Pattabiramayya put his son under the tutelage of Sri Parupalli Ramakrishnayya Pantulu. Sri Pantulu was a direct descendant of the musical tradition of Saint Thyagaraja. Murali combined all that was musically good in both his parents and lifted it to a higher level. He could play Violin, Viola, Khanjira, Veena and Mrudangam - all of them equally well. 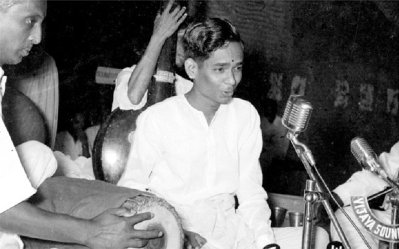 At the age of eight, Murali gave his first full-fledged concert at a Thyagaraja Aradhana, Vijayawada. Musunuri Suryanarayana Murty Bhagavatar, a distinguished Harikatha performer, saw the musical talent in the child and gave the prefix 'Bala' (child) to the young Muralikrishna. Such was his talent that All India Radio (AIR), Chennai, included him, a child artist, in the list of A-grade artists. The child prodigy would go on to captivate the entire country for three-fourth of a century with his performances. Murali Krishna was a maestro even before he was acknowledged as one. How does the future of Carnatic music look like? Carnatic is one of two main subgenres of Indian classical music that evolved from ancient Hindu traditions (most likely the Vedas), the other subgenre being Hindustani music, which emerged as a distinct form because of Persian and Islamic influences in northern India. The main emphasis in Carnatic music is on vocal music; most compositions are written to be sung, and even when played on instruments, they are meant to be performed in gāyaki (singing) style. Although there are aesthetic differences, the basic elements of śruti (the relative musical pitch), swara (the musical sound of a single note), rāga (the mode or melodic formulæ), and tala (the rhythmic cycles) form the foundation of improvisation and composition in both Carnatic and Hindustani music. Various festivals are held throughout India and abroad which mainly consist of Carnatic music performances, such as the Madras Music Season, which has been considered to be one of the world's largest cultural events. It is usually argued that Carnatic music has stagnated since the 18th century. What was composed and sung by Purandara Dasa in the 15th century is still sung today, in pretty much its original form. There have been no great composers since the 17th century. The songs composed by the divine trinity of Dikshitar, Shyama Shastri and Thyagaraja are still being sung today. The Indian music traditions are currently on the receiving end of the globalisation process. The young of today are less likely to attend the traditional concerts of Carnatic music. As an analysis in The Hindu Business Line brilliantly puts it, Carnatic Music suffers from market failure now. The ‘market’ for Carnatic music has such structural rigidities that an ‘inclusive’ form seems next to impossible. Carnatic music must embrace alternative formats of a concert to the one that is currently in vogue.It should also pass the ultimate test of ‘inclusion’: a socially diverse pool of patrons and performers. Carnatic music has long been accused of having a Brahmnical bias, with most performers belonging to the Brahmin community. 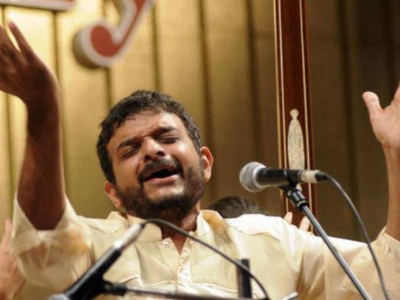 There are performers like Magsaysay awardee TM Krishna who, though a Brahman himself, is making relentless efforts to diversify the scope of Carnatic Music to include more performers from the Dalit community. He believes the tradition is inclusive by design - like any other music tradition. “Let me make one thing clear: I do not regard Carnatic music to be some kind of a temple into which Dalits and other marginalised people have to be given entry. Not at all. I hold it to be a house of grace, of majesty, with many rooms in it that have remained meaninglessly locked up and are becoming musty. They need to be opened up to people who have the interest and the right to use them and who, I believe, also have a contribution to make to their greatness. That is all I am interested in”.